The final day of the Royal Ascot Meeting brings with it some of the most exciting racing of the five-day event, part of which will be the Wokingham Stakes. Won last year by Dandy Boy from 33/1, the race always attracts an exciting field. This six-furlong sprint race is always one of the most popular betting events of the meeting and this year will be no different. The leading contenders for the title this year are Duke Of Firenze and Rex Imperator, but as Dandy Boy showed last year, the field packs as much of a punch as the favourites. 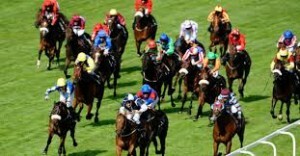 The best place to have a bet on the 2013 Wokingham Stakes is with Bet365.com. The odds below were taken from the site, and you will be able to find the latest race odds there as well. Bet365.com is also offering each-way betting on the race, with which you will receive 1/4 if should your selection place in positions one to five. Of the 30 races run at the Royal Ascot Meeting, the Wokingham Stakes is perhaps the most popular. With such a large field, this sprint race requires a study of the horses running in the event and of the form book. The odds for the race tend to be fairly big, owing to the size of the field, with the favourites fetching a relatively high price. The race always attracts attention from the betting world, even though the favourites don’t have a very good record in the event. In the last 11 year, six horses have won at double figure prices, including last year, when the winner landed from 33’s. The horse that has been getting the most attention so far this year is Duke Of Firenze. Sir Michael Stoute’s colt has won twice this year already, including last time out at Epsom on 1 June. The four year old will be aiming for his fifth career victory on Saturday, but the unpredictable nature of the race means that it will be a difficult one to call. Rounding up the top three in the market, and the only other horses with single figure prices, are Rex Imperator and Gabriel’s Lad. Rex Imperator has had a less than stellar year, with his best finish coming in a second place finish at Doncaster earlier in June. The was his only placing this season though, with his last win coming last June. Gabriel’s Lad, on the other hand, has raced just once this year, finishing second behind Hamza in May. As mentioned above, the best racebook to place a bet on the 2013 Wokingham Stakes is Bet365.com, who will offer the best odds on the race. When visiting Bet365.com, click on ‘Horse Racing’ in the left sidebar and scroll down to the Antepost section of the page, where you will find the markets for this race and many more. The Wokingham Stakes is a six-furlong race held at Ascot Racecourse and is open to thoroughbreds aged three years and older. The race was inaugurated in 1813 and today has a purse of GBP 100,000. The Wokingham is staged on the final day of the Royal Ascot Meeting. The 2012 race was won by Dandy Boy, who will be running in the Diamond Jubilee Stakes this time out.